The NSW Police Dog Unit has today paid tribute to Police Dog, ‘Chuck’, who passed away this week. 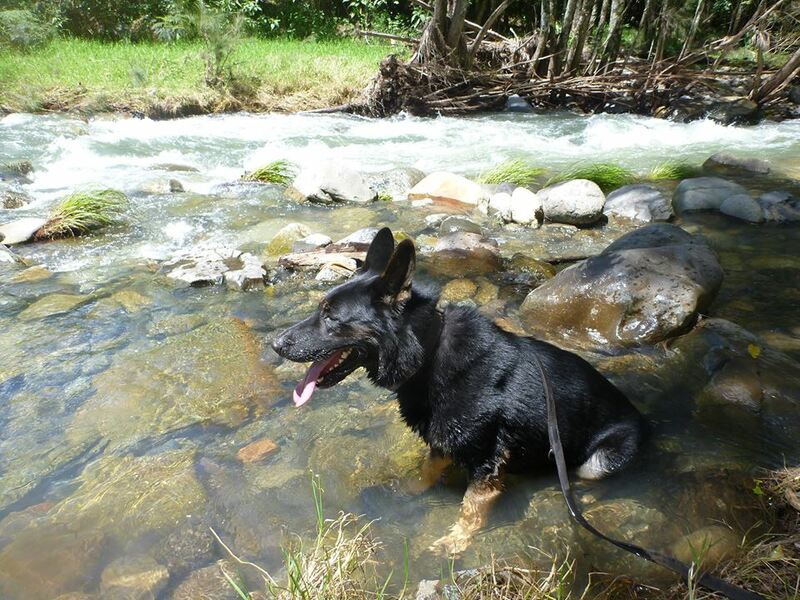 PD Chuck was the loyal companion, partner, and best friend to Acting Sergeant Luke Warburton. Born on Sunday 10 August 2008, PD Chuck was bred by the NSW Police Dog Unit. He commenced training on a general duties basis and was partnered with his handler, A/Sgt Luke Warburton. PD Chuck, together with A/Sgt Warburton, has been involved in hundreds of jobs throughout his career, including the arrest of one of Australia’s most wanted in March 2012 and being at the front line of the Hyde Park Riots in September 2012. PD Chuck’s status as a crime-fighting hero led to him to receive the honour of presenting the game ball at a 2012 State of Origin game in Sydney, where he became very attached to the ball and almost prevented the kick-off. PD Chuck, along with A/Sgt Warburton’s family and colleagues, has also been a driving force in the officer’s recovery following a shooting early this year. Between Sunday 3 July and Monday 4 July 2016, PD Chuck passed away from what is believed to be natural causes. PD Chuck’s legacy continues, through the three litters he fathered for the NSW Police Dog Unit. Superintendent Dean Smith, Commander of the NSW Dog Unit, said today was a sad day for the unit. “Chuck’s death is a loss to the Dog Unit, not only from his contribution to helping fight crime, but the joy he brought to his handler, Acting Sergeant Warburton, and the officers involved in his training and development throughout the years,” Superintendent Smith said. A/Sgt Warburton said, “My fondest memory will be of Chuck visiting me in hospital after I was shot in January. Chuck was so excited to see me – and me him. “Whenever I went to work and had Chuck out with me I knew he always had my back and we could take on any job.